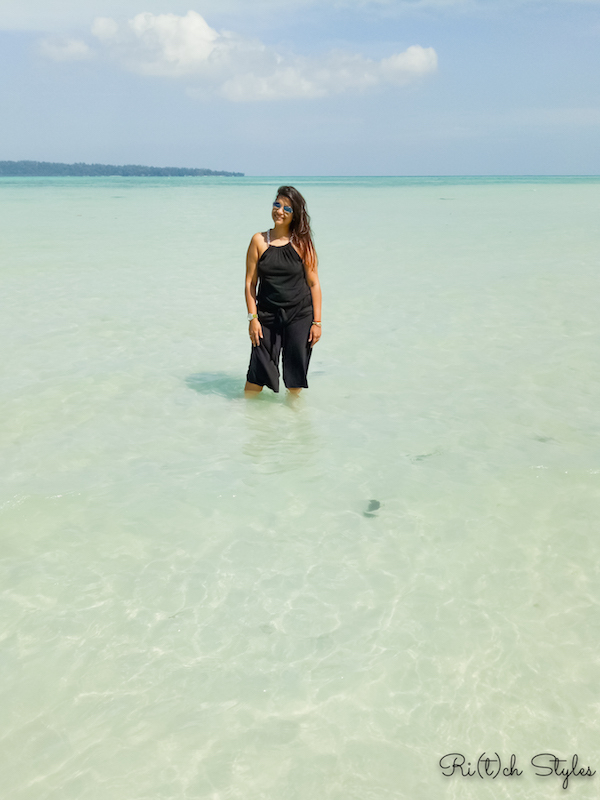 When someone asks me to describe myself, I have multiple words to do so - Smart, Intelligent, Hard Working, Pretty, Affectionate, Ambitious, a Successful career woman and a fashion, beauty and lifestyle blogger, Fun loving, Ardent traveller, Doting daughter and wife, Super new mom and I can go on AND on. Well it's not being over-confident about myself, but just the fact that I believe that 'Sky is the limit' and there is much more to each one of us than just being one of the above. Being one-dimensional has become the norm of society where women are happy with being labelled with one thing like 'Gorgeous' OR 'Intelligent,' which leads to significant loss of potential as one starts to believe in just those labels about themselves. It's time for an awakening, one which makes women realize that we are a fabulous mix of a lot of things and have the right to achieve our full potential by embracing our ‘ANDs’ and not being limited by any ‘ORs’! This is exactly why when Gillette Venus approached me to be a part of the “Use Your And” campaign, I was overjoyed. It is the perfect campaign that aims to inspire women of all ages to discard one-dimensional labels by encouraging them to #UseYourAnd and unleash their potential which they have allowed the world to limit by stereo-typing them. It's startling but true that 70% of women around the world have felt labelled by others as per a new Global Survey by Wakefield Research for Gillette Venus. I hope to contribute atleast something to the cause to change that. When I started my blogging journey five and a half years ago, nobody took me seriously. What they did take seriously was my career where I was exemplary in the field of Marketing and Corporate Communications and that was the only thing encouraged. Today not only am I juggling both successfully, I'm also playing full time mom to my adorable daughter and loving it. Along the way there have been discoveries of a lot of new things that I am passionate about and plan to integrate into my life. All this has been possible only because I believe in my 'ANDs' not 'ORs'! That brings us to the next most important point of this post - Shaving your unwanted hair! Well I for most part of my life believed (since I was made to believe) that shaving is a man's thing and not a woman's, and if one has to get rid of unwanted hair, waxing is the way. Well for most part of my life, that is exactly what I did also, despite it being painful and so difficult to manage in hectic schedules between all my work travels. But one fine day, I realized the stress wasn't worth it! I simply walked into a store, picked up a ladies razor and that day my life changed forever. No pain, no stress of appointments, no worry about has your hair grown enough for waxing or that you have to travel and whether you have the time, nothing! My own comfort and convenience whether at home or while travelling. Now I only wax when I have the time to get an appointment and head to a salon otherwise its the Gillette Venus that comes to my rescue. 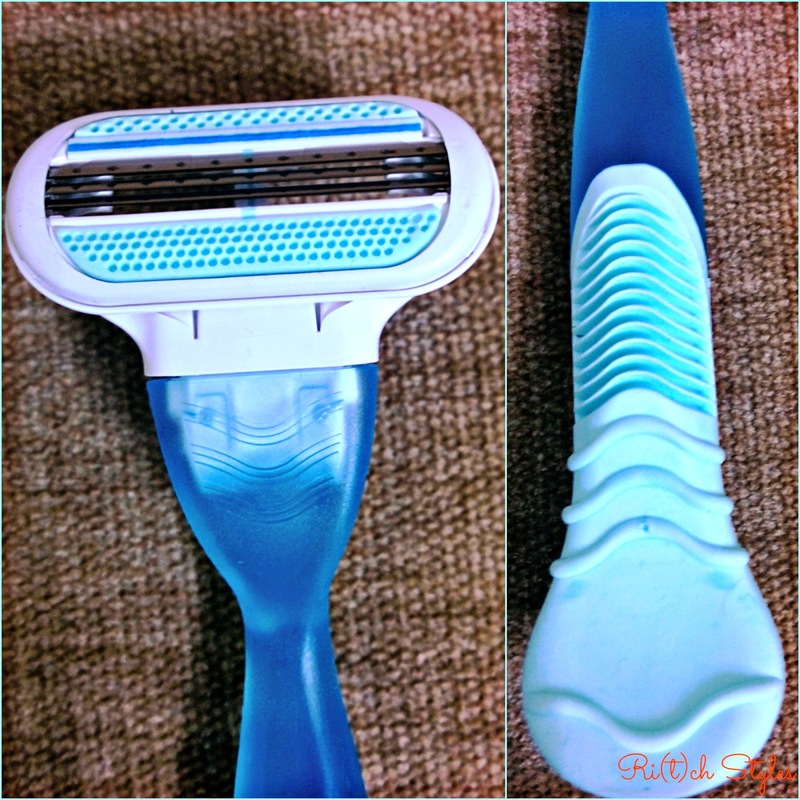 Priced at Rs.199, the razor is a pretty blue in colour and has three fine blades for a close shave. It has a rubber grip handle for a stable hold. There is an indicator strip that fades when the blade is losing its sharpness which also contains Aloe and Vitamin E to ease out any kind of skin irritation. 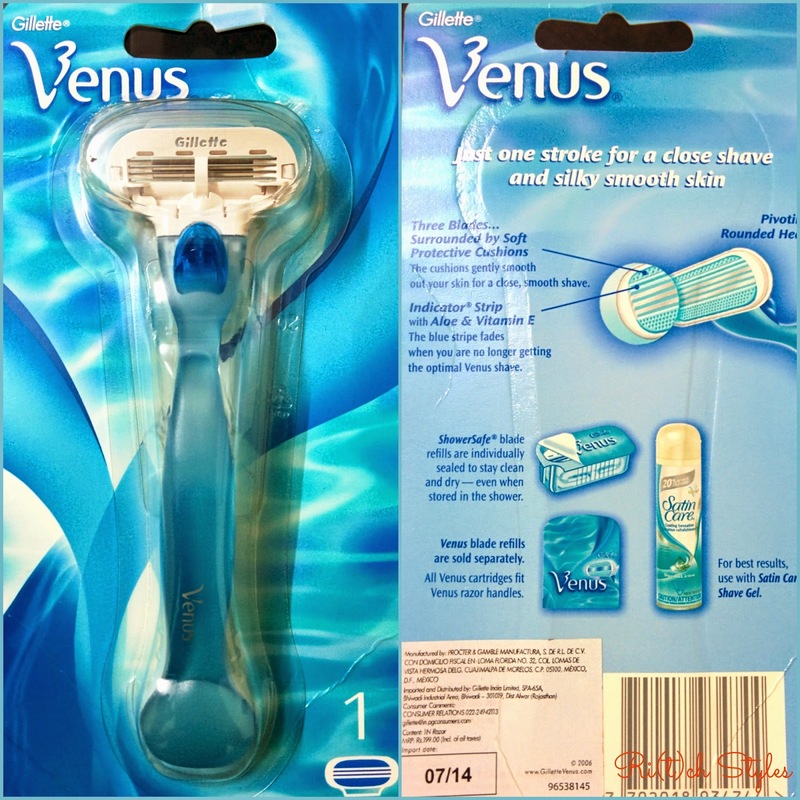 The pivoting rounded head helps me shave hard to reach areas as well as prevents any cuts. One stroke is enough for removing all the unwanted hair from any area. Remember ladies - You are what you believe you are. Don't let labels define you. YOU =Your imperfections AND perfections! There will never be enough labels to sum us up.We can go on AND on AND on!